This article is well worth a read as it gets behind some of the headlines that politicians put up to mislead us all. Taxation in particular leads to all kinds of half truths, misinformation and down right manipulation by politicians. Just look at the tangle, all of her own making I would add, that Teresa has got into over the so called Dementia Tax. Why even the Daily Mail lambasted her for that manifesto pledge that could end up being her poll Tax moment. 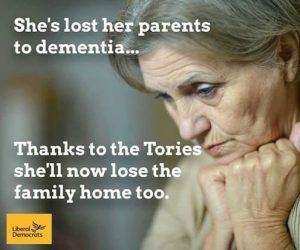 Lib Dem leader Tim Farron tells Sky News that the PM’s “dementia tax… will become her version of the poll tax”.